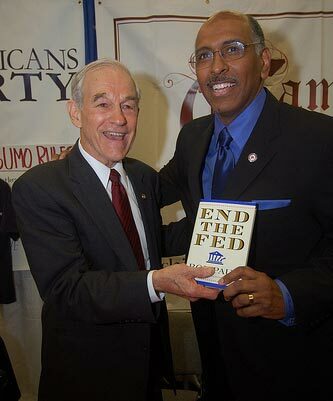 Michael Steele with Ron Paul photo opportunity and a great book too! There is a treasure trove of great pictures from the C4L’s flickr page – here. Next Next post: Bernanke owes Ron Paul and USA an apology!